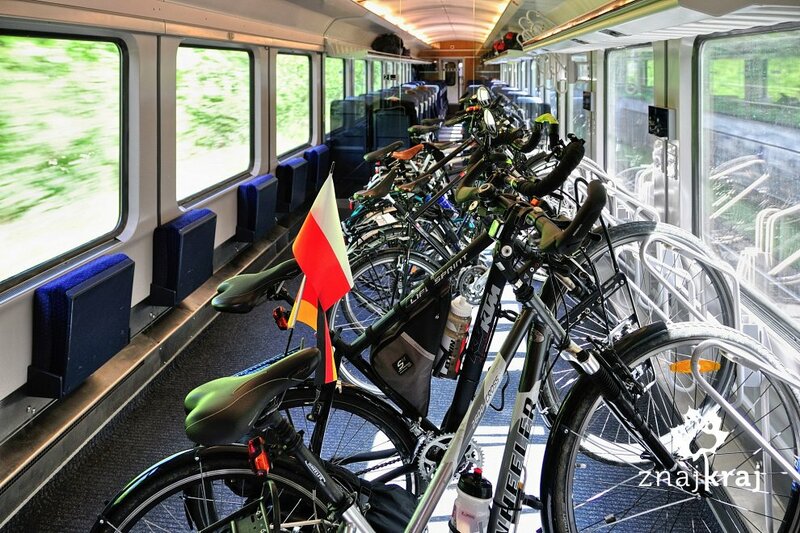 Radreise & Fernradler Forum » General Discussion » Take a bicycle with local train? #1331234 - 10.04.18 19:59 Take a bicycle with local train? Could you help me, please? 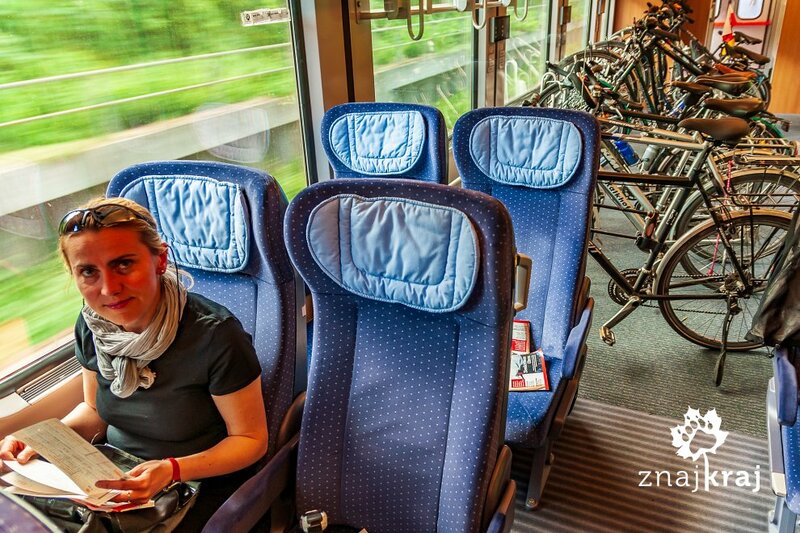 I am not sure what should I do if I want to take a bicycle on local train in Germany. We are going to cycle Main-Radweg in May. And I need to buy ticket for us and our bicycles. Because we are going to use local trains ("Nur Nahverkehr" when searching) I can't buy bicycle ticket with bahn.de. ... but even with Google Translate it's not clear for me. you can try the following phone number: 0180 6 99 66 33 I do not know if they have an english service, but you can try. pay with the credit card and print the ticket form the vending machines while you are in Germany. Thanks Deul. May I ask again? I can see that we can buy "Angebote" ticket: Regio 120plus Ticket. Is it limited-time offer? And I can see also, that prices for bicycle in local transport vary in different lands. So, if we are going from Brandenburg through Sachsen-Anhalt to Bavaria (Berlin-Bayreuth) - we need to buy three tickets? I have no idea about the Regio 120 offer. You need one Bicycle ticket for Germany / Bike. You can use the Regio 120 plus Ticket only in Sachsen, Sachsen-Anhalt and Thüringen. Not in Bayern and Hessen! It is valid on Monday til Friday from 9.00 AM till 3.00 AM on the next day. On Saturday and Sunday from 0.00 AM till 3.00 AM on the next day. With the local trains you need a bicycle ticket, but NO RESERVATION. So just buy your tickets for your self (maybee you find a cheap offer online) and when you reach the train station, buy a ticket for your bikes on the local vending machines. It will cost you around up to 6€ per bike. It gets complicated when you want to take you bikes with you in the faster trains like IC (InterCity) & ICE (InterCityExpress) here you NEED a RESERVATION on top of your bike Ticket (9€). But you can only buy this reservation only at a ticket counter (and maybe from the hotline as well). You even can't get the information if the bike spaces are already booked out online. sorry! (beacuse half of us is starting from Bayreuth, the rest from Schweinfurt). Mit beiden Tickets können ausschließlich Nahverkehrszüge in Sachsen, Sachsen-Anhalt und Thüringen sowie auf einigen Strecken außerhalb der Ländergrenzen genutzt werden. The "Streckenkarte" shows Berlin and Schweinfurt among external destinations, so it looks like a suggestion, that Regio120plus-Ticket also works there. And bahn.de seems to confim it by suggesting that type of ticket between Berlin and Schweinfurt. you are right! Here ist the "Geltungsbereich" for the Ticket. But how do you reach Berlin? With the Train too? Maybe the Quer-durchs-Land-Ticket is cheaper. Espiacially by using the ticket with some more persons. But how do you reach Berlin? With the Train too? Yes, as always with quite convenient connection Gdansk-Berlin managed by PKP+DB. There is always (or almost always) a car with 8 (or more?) bicycle places. I know it, we were using it last year. But here we are only in two, so Regio120 looks better.